Duke Energy intends to challenge a state Department of Environmental Quality order to excavate all its coal ash pits, saying it would impose undue financial harm. 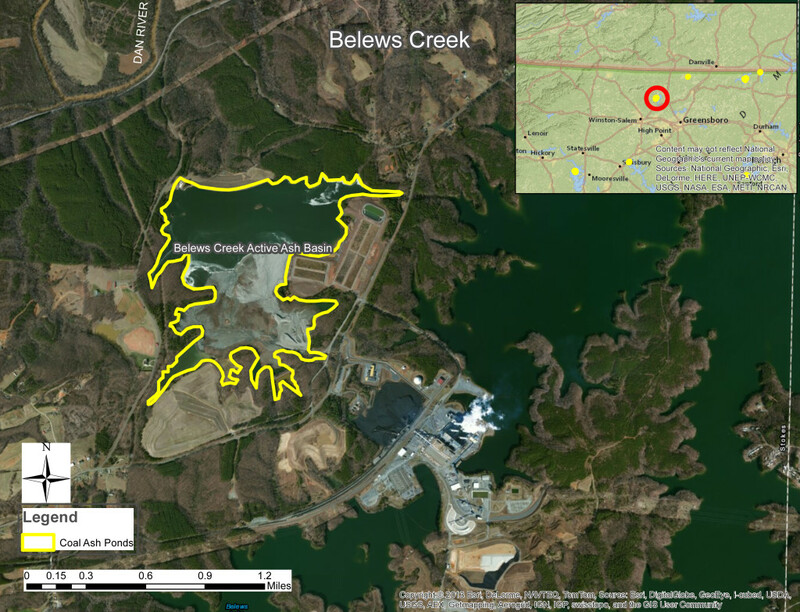 Duke, one of the nation’s largest power providers, announced its decision in a news release Thursday, April 11, 10 days after DEQ ordered Duke to excavate all of its remaining coal ash impoundments in North Carolina. Duke’s appeal will be filed with the N.C. Department of Administrative Hearings. Coal ash cleanup is a long-running environmental battle. Duke claims it will incur $5.6 billion in costs at power plant sites under existing cleanup orders. DEQ’s order forcing it to dig out nine more coal ash pits would increase the price tag by $4 billion or $5 billion. The utility and regulators are quarreling not only over the best cleanup method, which will affect the cost, but also whether ratepayers and taxpayers will share cleanup costs with the utility and its shareholders. Coal ash, sometimes called fly ash, is the residue from burning coal to produce electricity. Tens of millions of tons of the substance have been stored on power plant sites for years. It can contain arsenic, lead, mercury, selenium, aluminum, barium, boron, hexavalent chromium, vanadium, and other toxins. The Charlotte-based company proposed draining water from coal ash ponds and capping them with a waterproof cover and layer of soil to prevent runoff at its Allen, Belews, Cliffside/Rogers, Marshall, Mayo, and Roxboro facilities. DEQ said it did rigorous research and conducted public listening sessions in affected communities. The agency concluded only excavation would meet the Coal Ash Management Act’s requirement to dispose it in the way which best protects public health. The coal ash must be disposed in a lined landfill. Duke must submit final closure plans to the agency by Aug. 1, and finish all cleanup by 2029. “DEQ stands by its assessment and conclusions that all coal ash in North Carolina must be excavated,” said DEQ spokeswoman Megan Thorpe. Duke said Thursday it had submitted detailed scientific and engineering analyses for nine of the company’s 31 North Carolina basins where site-specific closure plans weren’t spelled out. “The order by the NCDEQ to excavate the final nine ash basins would impose a financial burden on our customers and the economy of the Carolinas through the most expensive and disruptive closure option possible, despite that these basins are rated ‘low risk’ by NCDEQ,” Duke’s news release stated. Duke said its appeal will provide details showing DEQ’s decision-making process failed to consider fully the science and engineering in the utility’s proposal. Duke claims it has made tremendous progress in safely and permanently closing ash basins around the Carolinas, and will continue that work to resolve the environmental threat. “Our office will defend DEQ in this appeal,” said N.C. Department of Justice spokeswoman Laura Brewer. Stein has publicly claimed Duke knew for years coal ash was toxic, but failed to act responsibly. He has filed suit with the state Supreme Court to block an N.C. Utilities Commission ruling allowing Duke to pass along $546 million from completed cleanup procedures to consumers. Gov. Roy Cooper supported DEQ’s April 1 decision.